Mobility, infrastructure, security and digital technology are the current key factors in the management of urban areas. But is quality of life in urban areas simply the sum of these key factors or does a liveable and smart city require something more? Making cities liveable and smart is a challenge that concerns all of us. It is an ultimate goal and common to all contemporary and competitive cities around the world. As well as being a basis for their local economy, it is also crucial for the vitality of a city. The future of cities always is in the mind of planners, designers, city managers as well as citizens, community leaders and mayors. Liveability and smart technologies fit in well with improving a city’s identity and values while, at the same time, making it attractive to its inhabitants, visitors and talents as well as to businesses, developers and investors. A wide variety of conditions determine the liveability of cities. A liveable city provides its residents and visitors with interesting, pleasant and safe public areas, an efficient public transport system, and a healthy and green environment. For a citizen a city needs to provide a sense of belonging and a place and identity to connect to. Cities of today need fresh new approaches to ensure the future liveability and prosperity of their inhabitants and communities. First of all, cities need to preserve their natural ecosystems with clean air, clean water and a green and healthy environment. Secondly, liveable cities must ensure the basic needs for food, housing, safety, education and healthcare. Thirdly, cities should encourage the human potential, creativity and talent of their inhabitants. Fourthly, cities need to become adaptive, smart and even intelligent in sustainable energy, water and transit management. This is a very complex challenge. A sustainable city, an inclusive city – or both? A sustainable city is a city that is able to work effectively on energy efficiency, can make the transition to sustainable energy and water management, can reduce or reuse waste products and can reduce the effects of climate change. Making cities liveable and sustainable needs a much broader approach than making a grand design or implementing environmental policies. The values of liveable and sustainable cities are closely related to the values of an inclusive city and a competitive city. An inclusive city gives people a sense of place, of belonging, an identity and the security of social networks. It provides identification and connects pride with its history, community, culture, traditions, heritage and education. Identity, together with attractiveness, is also a major driver for a competitive city. A competitive city is deemed to be successful, prosperous, vital and full of opportunities for businesses, investors and institutions. Combining the values of liveable, sustainable, inclusive, competitive and smart cities is the key success factor for the cities of the future. Successful, i.e. sustainable or durable, towns and cities display flexibility. Town and city plans last for a long time and redevelop themselves over decades and centuries to accommodate new functions and to meet new requirements. Changes throughout time and changes in identity and functions are necessary to retain the vitality, competitiveness and liveability of towns and cities. Throughout history, products were manufactured, goods were traded, taxes were charged and armies were equipped. Cities became increasingly specialized in the manufacture of certain goods, a trade, land defence, government, religion, education and science or culture and in the past decades tourism, sport and media. One of the lessons that can be learnt from the past is that successful towns are not only capable of repeatedly adapting to new functions and identities, but they are also good at combining and including old and new values, functions, identities and technologies and in actively involving their inhabitants and communities. This blog was published at the launch of the new ISOCARP website, January 2015. 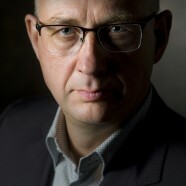 Martin Dubbeling is Vice President Urban Planning Advisory Teams of ISOCARP and urban planner and designer at Connecting Cities. Email: Dubbeling@isocarp.org; martindubbeling@gmail.com.